YEKATERINBURG, April 13. / TASS /. Russia's regional Prosecutor's office has initiated a criminal case following a counterterrorist operation in Tyumen, on the intent to carry out premeditated murder of two or more individuals, the press service said on Saturday. 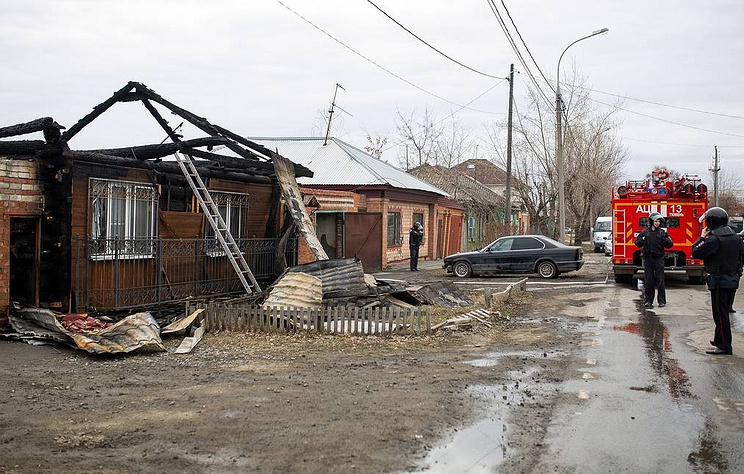 "On the night of April 13, in the course of the counterterrorist operation conducted by the FSB officers in the Tyumen region, two armed members of the ISIL terrorist organization (banned in Russia), who were hiding in a private house located on Amurskaya street in Tyumen, were killed. The criminal case has been launched on the grounds of intention to carry out premeditated murder of two or more persons, as well as intentional harm to law enforcement officers. According to the press service, weapons were found in the house of where the alleged suspects were hiding - two Kalashnikov assault rifles, two handmade explosive devices, elements of explosive devices, as well as religious literature, and electronic data carriers. "Currently, the investigative team is carrying out the activities aimed at establishing all the circumstances pertaining to the crimes committed," the press service said. The counterterrorist operation was completed on Saturday morning, the operational headquarters of the National Anti-Terrorism Committee (NAC) in the Tyumen region said in a statement. "The counterterrorist operation in Tyumen is completed, as of 6:23am Moscow time. The special legal regime has been cancelled within the borders of Novoselov, Magnitogorskaya, Lokomotivnaya streets, the Federation of the Kalininsky administrative district of Tyumen," the statement said. All limits and restrictions have been lifted as well. The operation began on April 12, at 21:56 local time (19:56 Moscow time) in the Kalininsky district, on the city's west side. Law-enforcement agencies surrounded an area that included several houses. Later, an emergencies source told TASS that one of the buildings within the security zone caught fire. NAC announced that two suspected terrorists, who were presumably plotting an attack in the city, were killed in a shootout with law enforcement forces. No casualties among civilians or officers were reported. Over 100 people were evacuated from the area of the operation to the local school.